Nice detached house, sunny with garden, in a quiet environment. Ideal for spending family vacations. Located 4min drive from the town of Begur, you can go perfectly walked to the center of town. 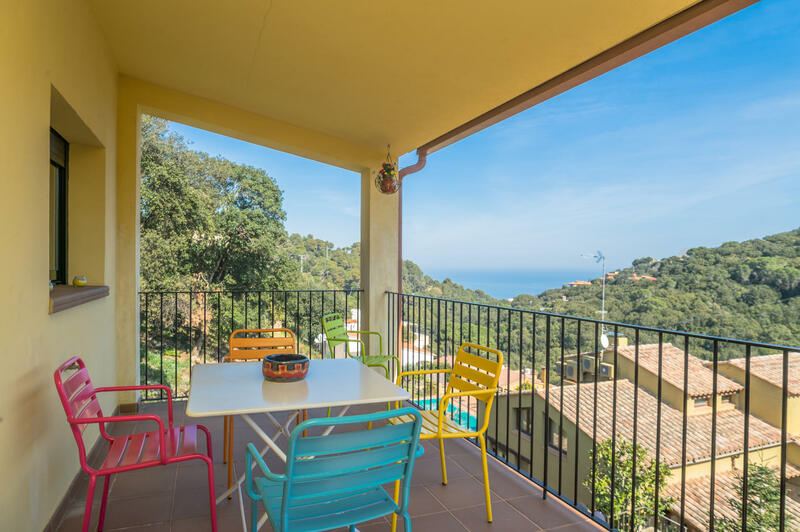 It is distributed in living room with access on nice terrace overlooking the sea and the castle, barbecue, open and fully equipped kitchen, guest toilet, suite room with double bed and bathroom with shower with access to the terrace. On the lower floor there are three bedrooms, one with a double bed and dressing room, another is a double room with two single beds, both with access to the garden and the last one is a room with a single bed and a bathroom with shower. It has a closed garage in housing with direct access to the house. TV service and 3G internet not guaranteed due to poor coverage in the area.